Miniature steam trains, puppet tennis players and a convincing Darth Vader paraded through London on Tuesday (January 1) to celebrate New Year. 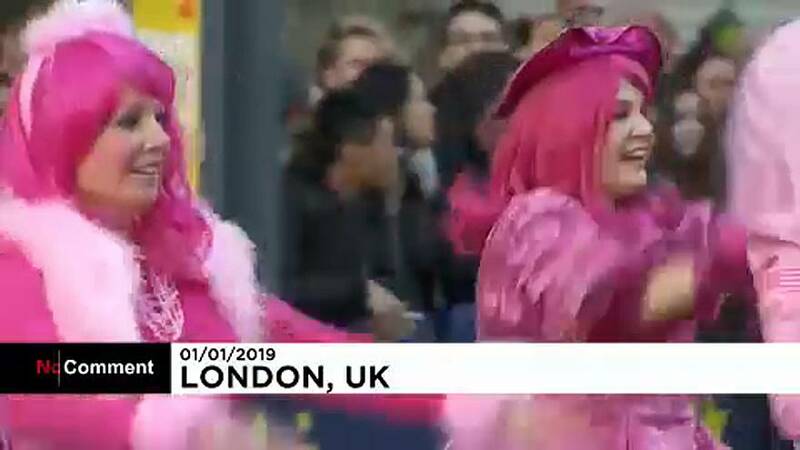 Organisers said 2019's New Year's Day parade (LNYDP) welcomed more than 10,000 participants from across the globe under the theme "'London welcomes the world". The event has strong links to the U.S. and this year featured American-style cheerleaders and a yellow New York taxi - a rare sight in London, famous for its own black cabs. As well as dancers, musicians and motorised vehicles of all kinds, the parade hosts a competition for London boroughs to come up with a float related to the year's theme. The winning entry gets a share of a cash prize of 40,000 GBP ($51,000) for charity. The first LNYDP took place in 1987 and the spectacle is now a staple of New Year's celebrations in the British capital.